TemplateHack.com - Download 2016 Responsive premium blogger template. 2016 Blogger template designed especially for you, beauty blogging. With clean and minimalist design, this template will show off your experience on a big and clear picture you post on ypur blog. 2016 blogger template is a blogger com template with customizable. It is can you use on photography blog, gallery blog, fashion blog, magazine blog, lifestyle blog, and etc. 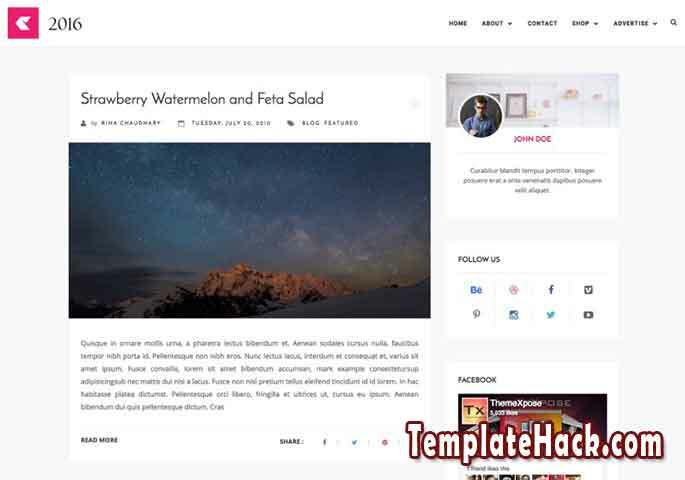 with tabbed widget ready, page navigation, dropdown and responsive with any browser and platform, this template will make your blog look more great.